By exposing the global warming hoax as the scam that it is, President Trump has saved the American taxpayer tens of billions of dollars that would have been used to line the elites’ pockets. Climate alarmists and mainstream media are trying to convince everyone that President Trump condemned the planet to ruin by refusing to sign the expensive and pointless Paris Climate Accord, but one very influential man — John Coleman, founder of the Weather Channel — has hit back at the phonies and called them out on their self-serving lies. In a series of tweets and emails Coleman sent to Al Gore and various Democratic supporters and organizations, he called out climate alarmists with a barrage of facts based on actual science and not politically correct liberal groupthink. As it turns out, if you chart global temperatures back into the ’70s, there is absolutely no sign of global warming. There’s been less than one degree temperature change since 1978 and no warming to speak of since 1998. So where was the Democrats and their propaganda mouthpieces in the mainstream media getting their information from? Yovav Gad reports: It turns out that the government has been manipulating climate computer models. This means that the American taxpayers are being charged $4.7 billion a year in taxes that are being used to fund organizations that carry out meaningless studies based on bad science. Basically, the American people are paying fake scientists to lie to them. Spread this everywhere. Donald Trump deserves our support. He wants to help this nation. We can’t live in lies anymore. Trump’s move will save $100 billion and jobs! We can not afford luxuries now. Share this post if you support our President’s policy! Al Gore predicted Arctic summer ice would disappear in 2013. Former Vice President Al Gore basically started the “Global Warming” movement after producing a documentary film in 2006 “An Inconvenient Truth”. 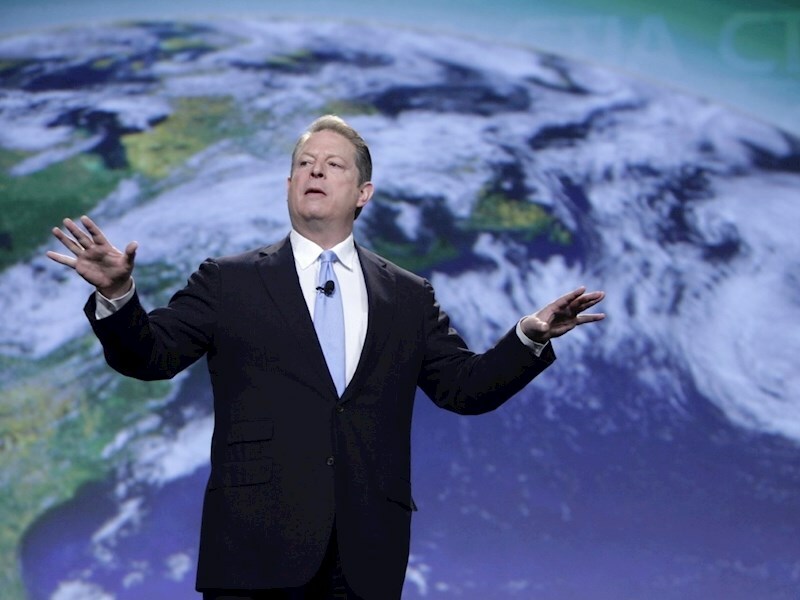 According to Michael Bastasch at the DailyCaller.com Al Gore may have some other hidden incentives pushing his aggressive Global Warming agenda — Liberal billionaire George Soros gave former Vice President Al Gore’s environmental group millions of dollars over three years to create a “political space for aggressive U.S. action” on global warming, according to leaked documents. A document published by DC Leaks shows Soros, a Hungarian-born liberal financier, wanted his nonprofit Open Society Institute (OSI) to do more to support global warming policies in the U.S. That included budgeting $10 million in annual support to Gore’s climate group over three years. ACP got $10 million from the Open Society Institute (OSI) in 2008, according to the nonprofit’s tax filings. OSI handed over another $5 million to ACP in 2009, according to tax filings. The investigative reporting group ProPublica keeps a database that has OSI tax returns from 2000 to 2013. The DCNF could not find other years where OSI gave money to ACP. Other reasons for changes in temperatures could also be related to things such as the Sun Solar variation and Aerosols forcing — scientists opposing the mainstream scientific assessment of global warming express varied opinions concerning the cause of global warming. Some say only that it has not yet been ascertained whether humans are the primary cause of global warming; others attribute global warming to natural variation; ocean currents; increased solar activity or cosmic rays. The consensus position is that solar radiation may have increased by 0.12 W/m2 since 1750, compared to 1.6 W/m2 for the net anthropogenic forcing. A few studies say that the present level of solar activity is historically high as determined by sunspot activity and other factors. Solar activity could affect climate either by variation in the Sun’s output or, more speculatively, by an indirect effect on the amount of cloud formation. Solanki and co-workers suggest that solar activity for the last 60 to 70 years may be at its highest level in 8,000 years.